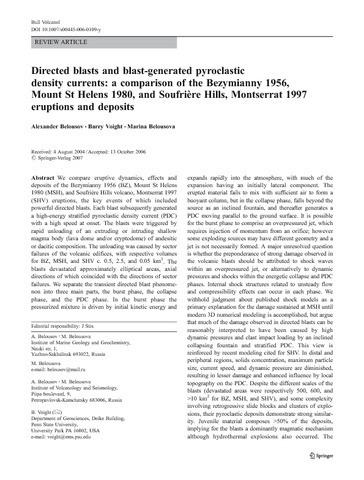 Belousov Alexander, Voight Barry, Belousova Marina Directed blasts and blast-generated pyroclastic density currents: a comparison of the Bezymianny 1956, Mount St Helens 1980, and Soufrière Hills, Montserrat 1997 eruptions and deposits // Bulletin of Volcanology. 2007. V. 69. № 7. 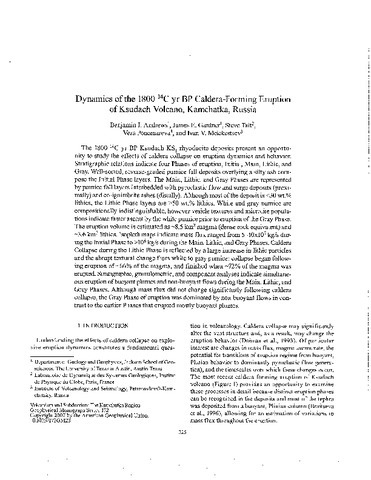 P. 701-740. doi:10.1007/s00445-006-0109-y. 2013. 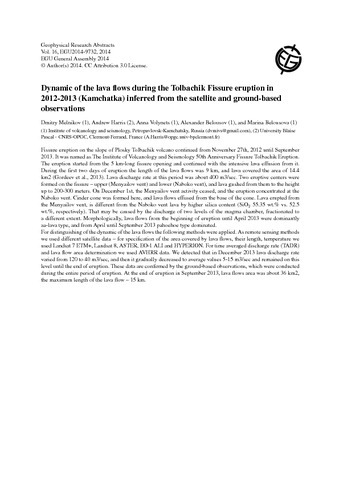 It was named as The Institute of Volcanology and Seismology 50th Anniversary Fissure Tolbachik Eruption. The eruption started from the 5 km-long fissure opening and continued with the intensive lava effusion from it. 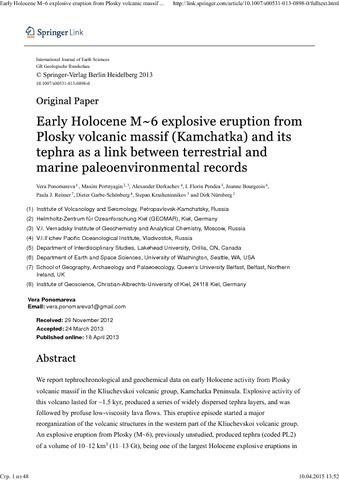 aa-lava type, and from April until September 2013 pahoehoe type dominated. 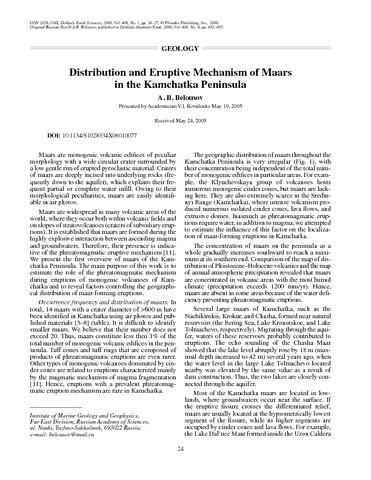 during the entire period of eruption. At the end of eruption in September 2013, lava flows area was about 36 km2, the maximum length of the lava flow – 15 km. Fedotov S.A., Tocarev P.I. 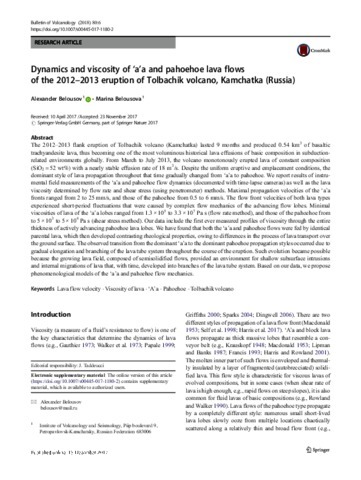 Earthquakes, properties of the upper mantle, and their connections with volcanism in Kamchatka // The Crust and Upper Mantle of the Pacific Area. // ХV Генеральная ассамблея Международного геодезического и геофизического союза. , Москва. 1971.